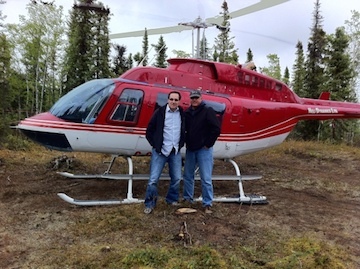 CEO Gary Freeman and Greg getting out of the helicopter on the flagship project of Ethos Gold in the Yukon. Terrain of the area surrounding Ethos Gold property. 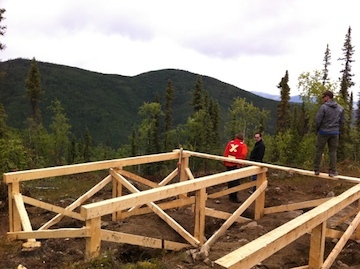 Building a helicopter platform to shuttle in personnel and drilling supplies. 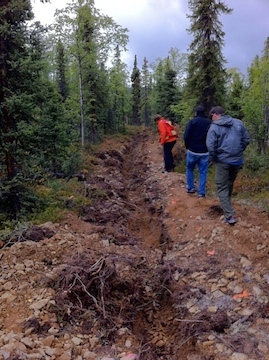 Trenching for gold on the flagship project of Ethos Gold. 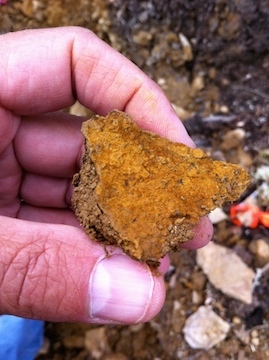 Samples are taken in and assayed to help determine the best areas for drilling. Greg holding a rock that shows great promise. 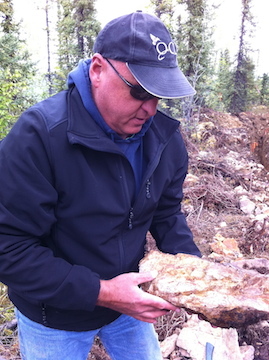 Greg holding rock that has gold in it. The rust-colored material has microscopic gold in it. Another aerial view of the Ethos Gold property with the Yukon river in the background.